The Pentagon has spent almost half a billion dollars for the training of Afghan intelligence officers under a special program. However, no tangible results have been achieved, according to a report of the Special Inspector General for Afghanistan Reconstruction (SIGAR). The SIGAR report noted that the Pentagon has spent $457.7 million, signing two contracts between 2010 and 2013 with two Afghan companies, Legacy Afghanistan R&D and Afghanistan Source Operations Management (ASOM). A total of about 70 members of the Afghan National Security and Defense Forces (ANDSF) participated in the training exercise. 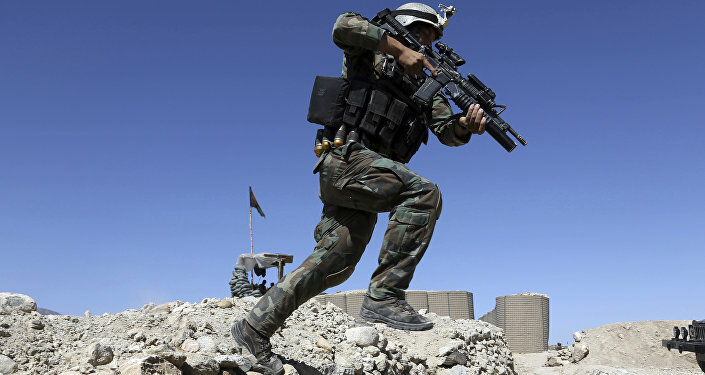 However, as the commission stated, the exercises did not lead to noticeable results, and “significant parts” of ANDSF did not fulfill the minimum requirements for the completion of these exercises. In an interview with Sputnik, an independent Afghan expert and former director of the Afghanistan Investment Support Office, Dr. Ruhollah Ahmadzai, said that not only should the Pentagon leaders be held accountable but also the government forces of Afghanistan. “The ground for such corruption was laid out by the Afghan Defense Ministry, the Pentagon and the US government, so they all must be held accountable to the US taxpayers,” Ahmadzai said. He further said that if this SIGAR report is exact and $500 million were indeed spent on the training of 70 people from the Afghan Special Forces, then the perpetrators should definitely be held responsible. “What is surprising is the lack of transparency and economic necessity in such a waste of funds. It should be noted that in previous years, money of international organizations that was intended to help Afghanistan, was also wasted,” the expert said. According to him, this is not only the fault of Afghanistan, but also of these aid organizations and donor countries and they must be held responsible for such a wastage also. He also expressed hope that the president of Afghanistan, Ashraf Ghani, at the next meeting of his cabinet will put this issue on the agenda, “so that the whole truth and untruth of this matter will be considered,” the expert noted. “The Cabinet of Ministers of Afghanistan should show its will and attitude to tackle corruption and corrupt officials,” Ahmadzai concluded. Afghanistan has long been experiencing political, social and security instability, mostly due to the activity of the Taliban and Daesh terror groups.